“Anti-Semitism” used to be an easily understood term, make an accusation across the board of “Jewish conspiracies”, of “Jews” undermining the world or “Jews” being greedy Shylocks or even hold ALL Jews responsible for the atrocities of Israel and it is fairly clear that underlying the statement is a promotion of hate or fear of Jews; that would be Anti-Semitism. Not that simple today. The Holocaust (Shoah) has taken a special identity that allows people to bash at others in the stated defense of Jews and against Anti-Semitism. The memory of the Shoah continues to separate decent Jews from their money towards efforts that are really unsavory; The Simon Wiesenthal Center and its branch the Museum of Tolerance raise millions of dollars by using the name Simon Wiesenthal, a much-respected name among Jews, even though the Museum has nothing to do with the now-dead man. Even here in Seattle, the Holocaust Memorial Museum raises funds and appears to act against Anti-Semitism but has no problems promoting Islamophobia and inviting Islamophobic speakers….but that it a different story, dealt with in earlier Penjihad posts. As a Muslim, I can only look at the unity of purpose displayed by so many Jewish institutions and their membership, with envy. We have millions of Muslims in Europe and in the US who cannot even agree on when our high holidays are, Muslim institutions that are eager to class other Muslims as “Unbelievers” (“Kuffar”) and who don’t come together..unless the “other” groups come to them. We complain about the persecution of Muslims, we complain about Western nations’ atrocities and slaughters against Muslim-majority nations such as Yemen, Afghanistan, Pakistan, Iraq, Libya, Somalia, but are unwilling to join for a common purpose. Jewish groups have similar differences too, but on matters of common concern, they are like the Rock of Gibraltar.. I began to look into the “Anti-Semitism” label a little more closely after I saw a report that the leader of the British Labour Party was accused of Anti-Semitism when he said that many Jews were supporting Trump and his hate. Corbyn was roundly vilified and the Jewish political group Momentum with drew its support for Corbyn at which point, he folded and apologized to one and all for his bad behavior. At that point, leaders from various Jewish groups met with him to present demands that would satisfy them. They left, upset that he would not embrace ALL of their demands. Antisemitic acts are criminal when they are so defined by law (for example, denial of the Holocaust or distribution of antisemitic materials in some countries).Criminal acts are antisemitic when the targets of attacks, whether they are people or property – such as buildings, schools, places of worship and cemeteries – are selected because they are, or are perceived to be, Jewish or linked to Jews. I have no differences with that first sentence, but when one reads the second part and thinks about it, ANY criticism of a Jewish institution, of Israel or, of a Jewish group, is classed as “Anti-Semitism”, THAT is a hard pill to swallow. But the IHRA definition now makes it easier to understand all the accusations of “Anti-Semitism” that are leveled against anyone daring to compare the activities of Israel to Nazis or calling for BDS (Boycott, Divestment and Sanctions…against all of post-1967 Occupied Territories and their products). Nevertheless, the IHRA definition seems to have been embraced by all those who I would see as knee-jerk, blind, supporters of Israel, AIPAC and similar institutions, as “Anti-Semitism”. Those supporters have intimidated politicians across Europe and the US, into accepting the IHRA definition as the right and complete one and many US states are considering passing of laws that would make criminal, any action that goes against IHRA definition. Should (when?) the IHRA definition become law in any country or state, it will further stifle any criticism of Israel (as desired by the blindly pro-Israel groups). Already, 34 European countries have punishments ranging from six months to two YEARS in jail if anyone should question the Shoah or the total number of its Jewish victims. 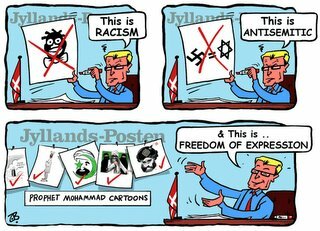 But every one of these European countries proudly touts its defense of “Freedom of Speech”, especially when Muslims or Islam are targeted. 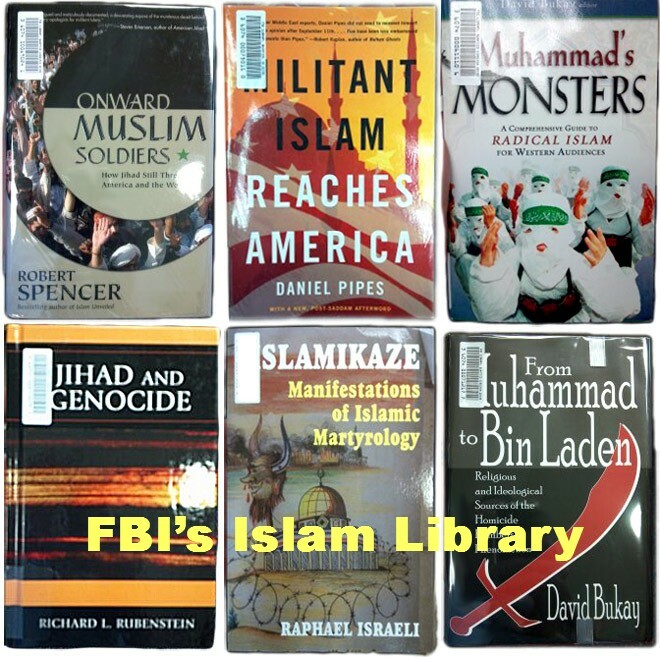 Many of the portions declared as “Anti-Semitism” seem to have no problems being embraced by the same Jewish institutions when the targets are Islam and Muslims, instead of Jews. Why is it that when Muslims step into the sewer of Anti-Semitism, all Hell breaks loose, especially from Jewish leaders and Jewish institutions, but when JEWS jump into the same sewer with their thoughts (examples in the pictures above) against Arabs and Muslims, the same leaders and institutions cannot even muster a yawn? The Jewish Federation, the Holocaust Memorial Museum, the Wiesenthal Center, AIPAC and MANY Synagogues have no problems promoting speakers and “documentaries” that actually equate Islam with Nazism (detailed in earlier Penjihad posts) but they bleat with self-righteousness when anyone should equate…not Judaism or Jews but…Israel with acts that are reminiscent of what the Nazis did…in spite of the fact that many actual survivors of the Shoah are now equating Israel’s actions with Nazis. I believe the success of the blindly pro-Israel groups is also their curse; the more they strangle expression, the less free and thus, the more resentful, genuine critics will be and THAT will contribute to REAL Anti-Semitism. Right now, the accusation of ”Anti-Semitism” tends to have people shrug and respond with sarcasm rehter than regret. Jeff: Jews worldwide are a classic nation, namely, what Ibn Khaldun called the good asabiya, which consists of a sacred community based on the sacred nature of every individual member, all sharing the same historical heritage, the same values in the present, and the same hopes for the future. A such the Jews are perhaps the outstanding example of nationhood in human history. Nevertheless, some of these individual Jews have become an example of the bad asabiya, which consists a community that looks down on outsiders in order to justify its own legitimacy. This is called tribalism. The Qur’an praises the good community loyalty, because it makes it possible to appreciate the good in other communities so that all nations can work together in their common best interest. The best solution to human rights in the Holy Land is not “one state” or “two states”, because a sovereign state by definition in international law as I learned it in Harvard Law School is “whatever force can control more than 50% of a given territory”, which also is the definition of imperialism and has been for exactly 100 years this coming November. At the end of the First World Wa, the new concept of “nation building” was invented to destroy all existing nations on behalf of artificial states, which usually had to be run by dictators in order to assure stability, often with the help of foreign military intervention. The best promotion of human rights in the Holy Land would be a confederation of two nations cooperating together without any territorial separation and with common textbooks on their millenia-long histories. But this is another subject. Thank you Dr. Crane. How would a one-nation be different from a confederation if the one nation preserves enough balance so that there can not be tyranny of the majority over any of the three Abrahamic faiths?